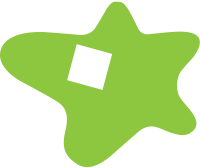 Working on-call for the NYC EDC, Starr Whitehouse led an interdisciplinary team and public engagement effort, preparing a comprehensive redevelopment strategy for Hallets Cove. 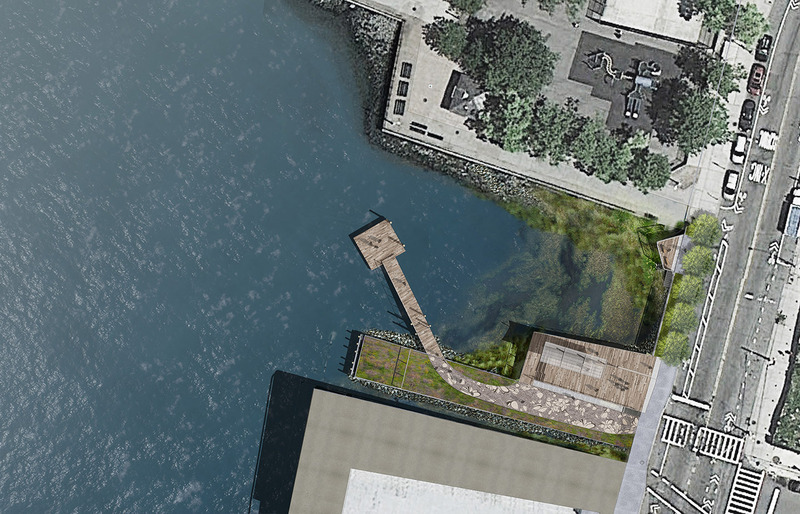 Design the Edge: Hallets Cove explores the potential to turn a small, trash-strewn, city-owned section of the Long Island City waterfront into a vibrant and ecologically resilient space that integrates habitat restoration with community-desired amenities. 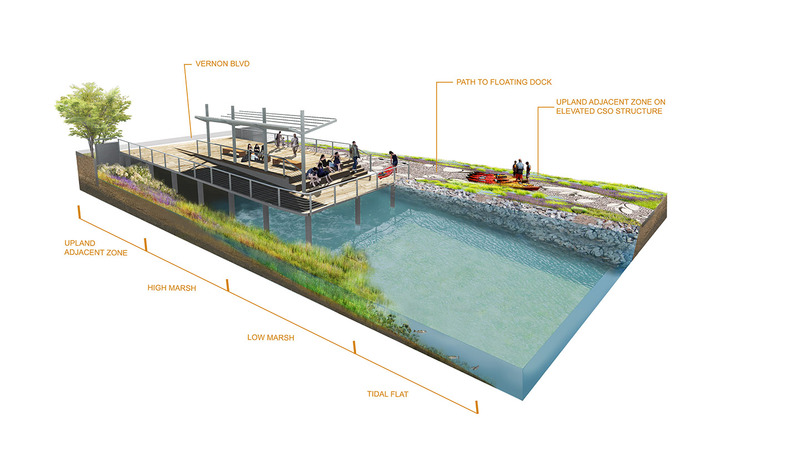 A program of trash removal, demolition of dilapidated structures, site re-grading, and establishment of salt-tolerant plantings atop a functioning CSO would create a transect of intertidal and upland habitat. 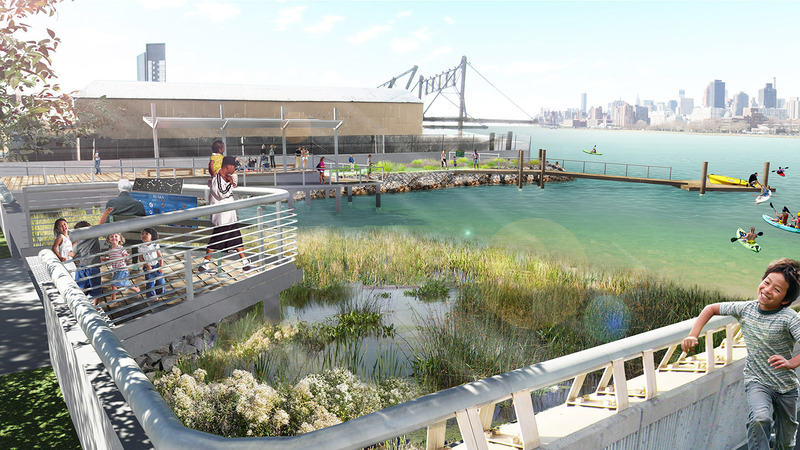 A floating dock in deeper water enables expanded public boating programs, while a 1,250 sf structure that integrates invisible, below-deck storage for 20 kayaks also welcomes passersby to enjoy stunning views of Manhattan and Roosevelt Islands from its spacious public pier.